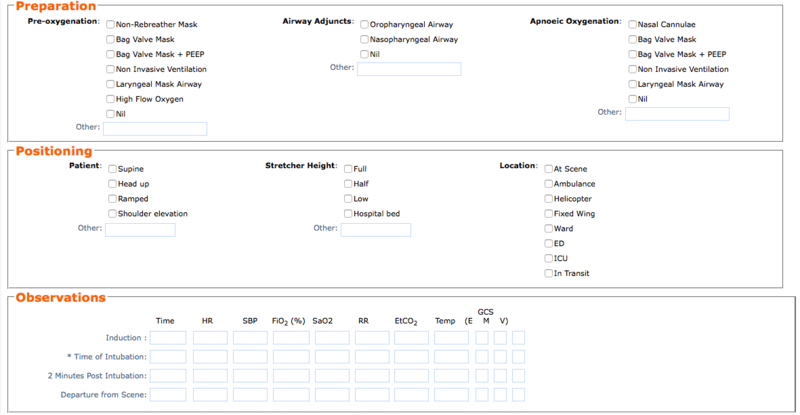 Click here to see the archive of AiR posts – learning from the Sydney HEMS Airway Registry. How did the Airway Registry start at Sydney HEMS? In October 2010 the first presentation of the months intubations was made at a Sydney HEMS clinical governance day and the Airway registry was born. 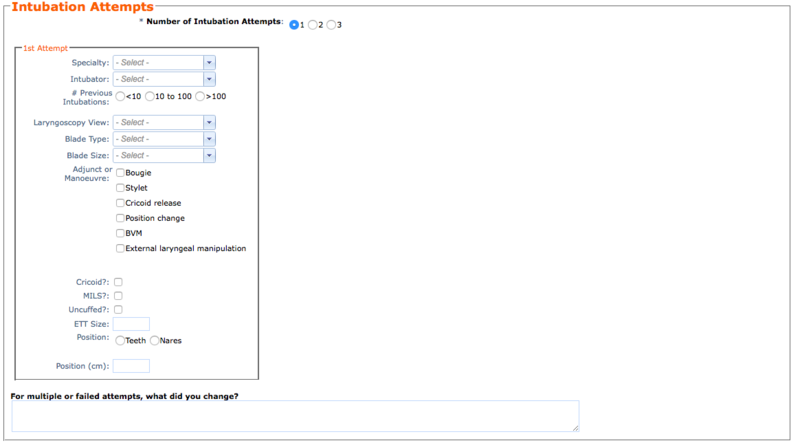 The aims were to improve the documentation of intubations by using a computer based system allowing for the review of the data; for benchmarking, quality assurance, research, and practice review/development of operating procedures. It has continued every month since, though the exact format of the computer database changed in 2016 to a statewide internet system. Teams complete paper-based casesheets of missions which are scanned into the database along with the vital signs printout, and recently, the laryngoscopy images from our portable videolaryngoscope. 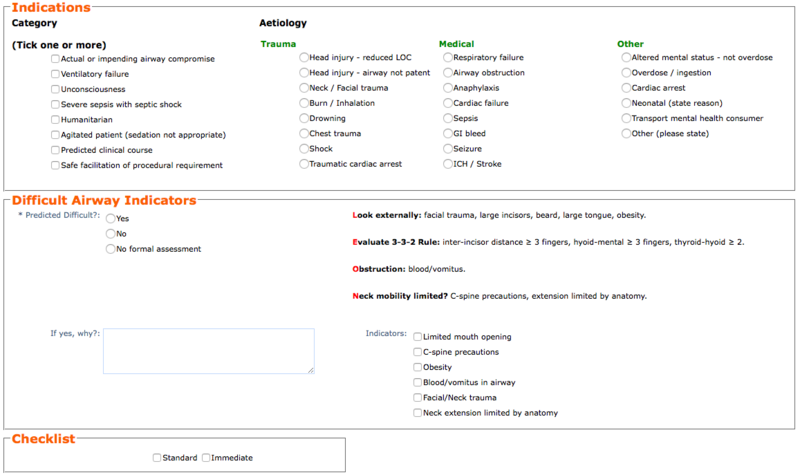 A freetext case detail box allows for more information – and writing as much detail as possible about the airway is actively encouraged. One of the Staff Specialists has the role of reviewing all cases for the preceding month, for cases of interest, learning points and to address our Key performance indicators (KPIs) which remain unchanged from 2010. 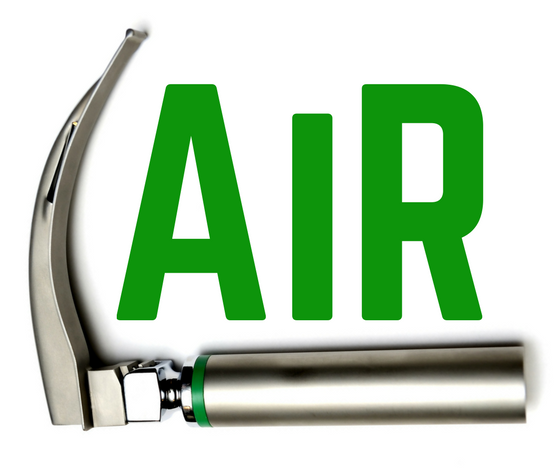 The presentation of the airway registry at Clinical Governance days often spark lively discussion and allows a platform for discussing issues of airway kit and procedures. Dissemination of learning points to all team members is part of the ongoing challenge and with the addition of laryngoscopy video clips has prompted the move into the digital age. 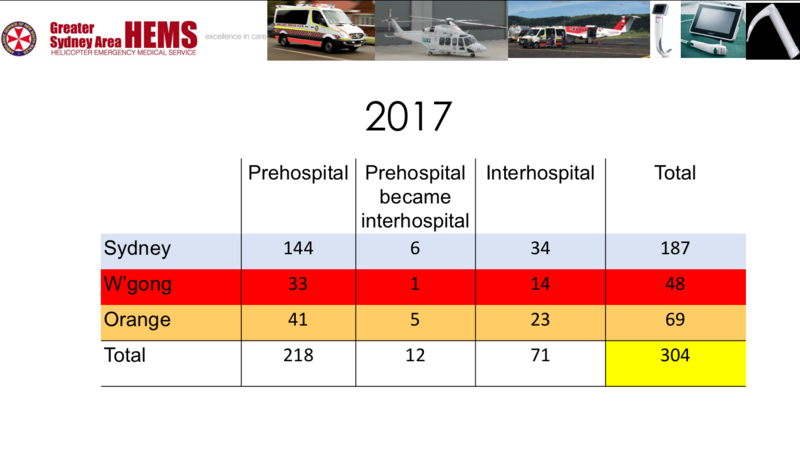 In 2018 we made the move to try to use the Sydney HEMS blog to share anonymised learning points to the wider prehospital and retrieval community. We collect information around the circumstances of the intubation attempt (including indications, preparation, medications and observations) in addition to information relating directly to attempts at intubation. The screenshots below show exactly what information is collected as part of our patient record. Data is presented monthly at either the Clinical Governance or Education day. The slide below shows summary data for the cases entered into the airway registry during 2017 at each of our three bases. Each case represents a patient with an attempted intubation performed by the Sydney HEMS team. Many of our other patients will have been intubated by other teams prior to our arrival or did not require airway management by us. How do we measure our airway management success? 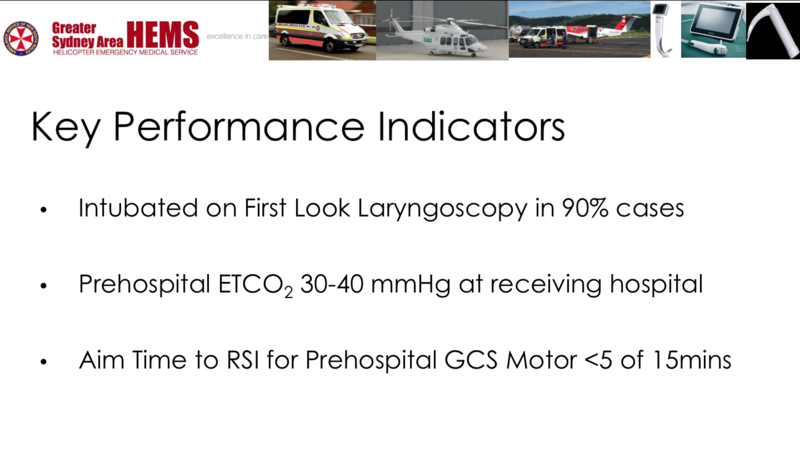 We measure our airway management success against our Key Performance Indicators (KPIs). These are shown in the image below.